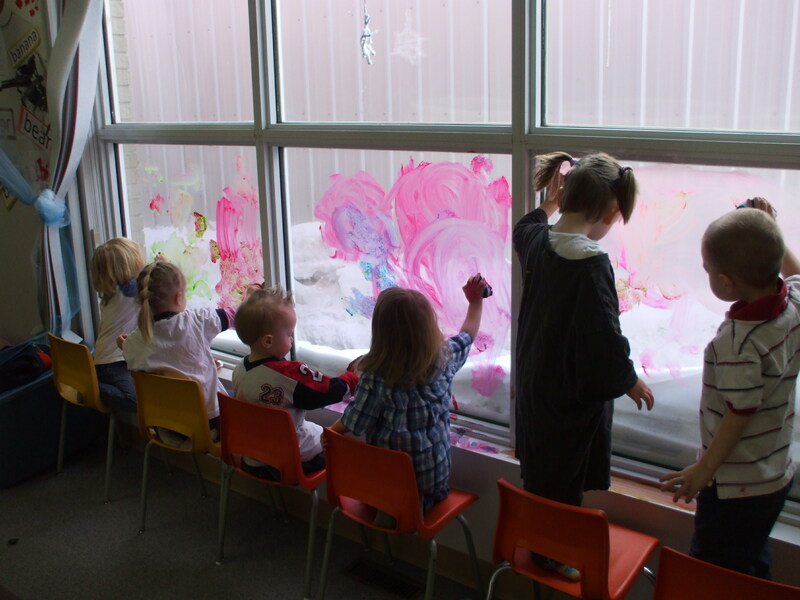 Cornerstone Kids from Left to Right: Lily Sedor, Kerri and Tyson LaChapelle, Sarah Brown, Kaseyna Einerson and Issac Bouchard Paint a Valentine’s mural on the window of the Parent and Tot Centre. Valentine’s Day is a great day for every family to show their love for each other. Why not try some games or fun activities to show how much you love and support one another? A great family activity can be to create cards or “Valentine’s” for friends and family. Skip the store bought cards and try making some from scratch using inexpensive craft supplies such as cardstock, markers and stickers. Additionally you will be teaching your children how special it is to create a gift for a loved one. Another fun activity is a family trivia game. Parents can prepare a trivia game that consists of a series of cards with family trivia on them. Examples of questions could include: Who’s favorite meal is Macaroni and Cheese? Who broke their wrist at age 5? Etc. Don’t forget to enjoy a meal together as a family today. Sharing this special time together gives families a chance to catch up on each other’s day. Go the extra mile and dress up the table in a Valentine’s day theme.